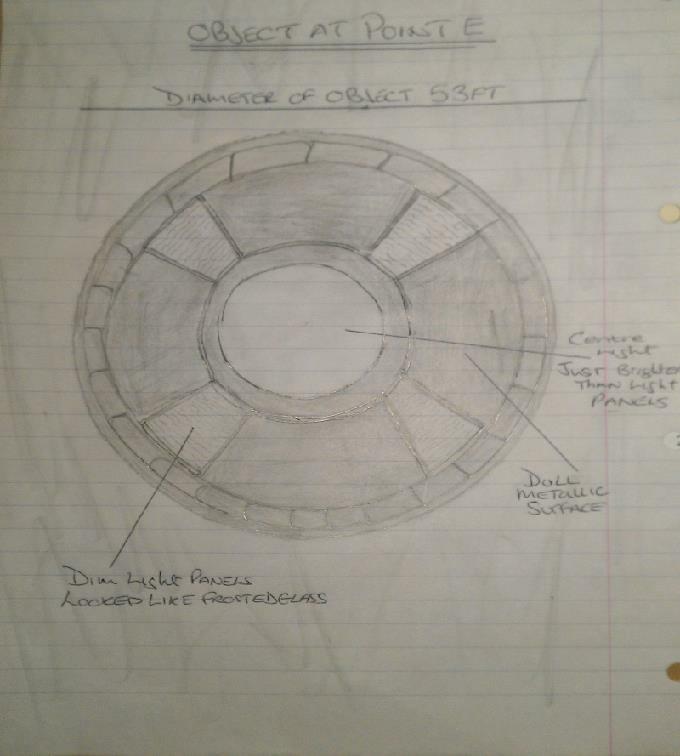 in his own words, together with two drawings of the object observed as documented by the witness. Weather: Moon was bright and in the east, behind our position. Weather was cool with a clear sky. Location: Tyldesley . Manchester. England. Family Event at the home of my Aunt. incident that happened on this night. a bright white light in the distance. moved to point B in a relatively high speed. 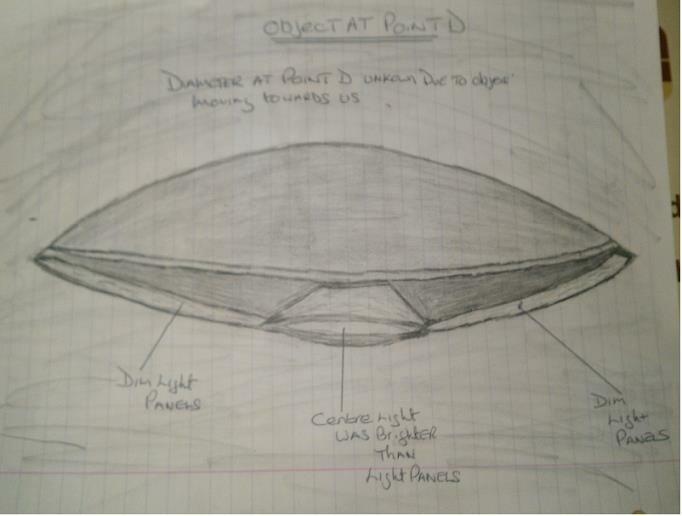 At point B the object had moved to a higher position in the sky, still not omitting the bright light when first seen. still pulsing with dull light. at a slow rate with very dim lights on the underside. The object was rising as it approached and climbing as it got closer. it then climbed higher into sky which I would estimate at two hundred to two hundred and fifty feet and began to hover above us. it was just there hovering above us in the sky and seemed like it was there for a long time. and vanished. When the object had gone it was a surreal feeling I was left with, a kind of numbness but not the feeling of shock. Nobody spoke of what had been seen; we just got on about our business for the rest of the evening. viewed was. It was amazing.